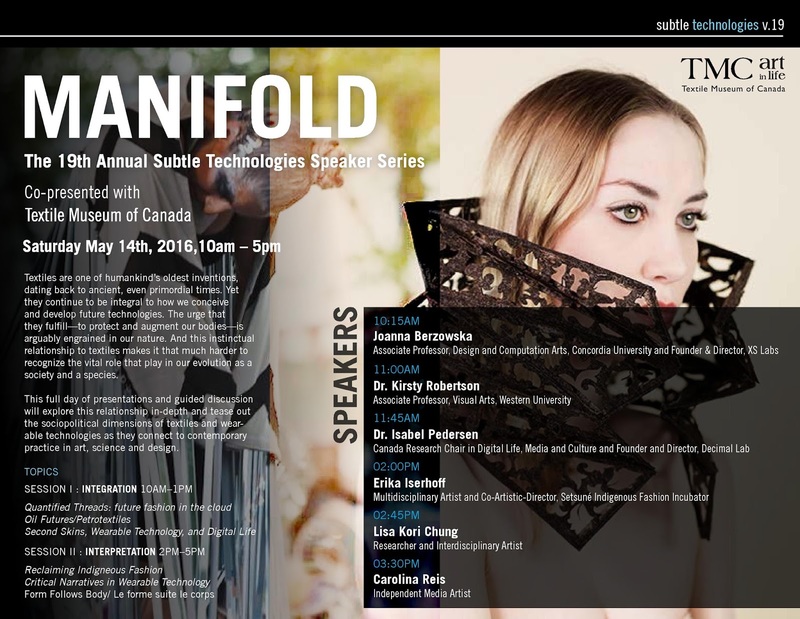 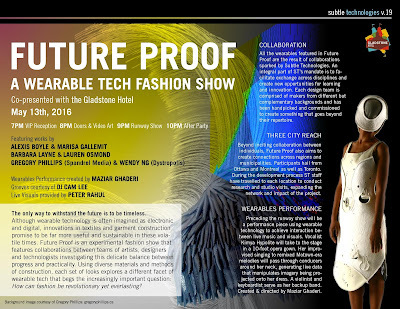 TORONTO, ON - An exciting event combining fashion, art, and technology is coming to Toronto in May! 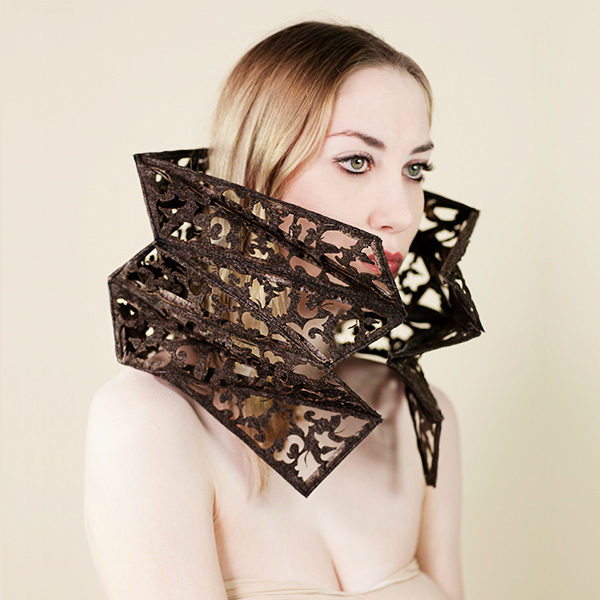 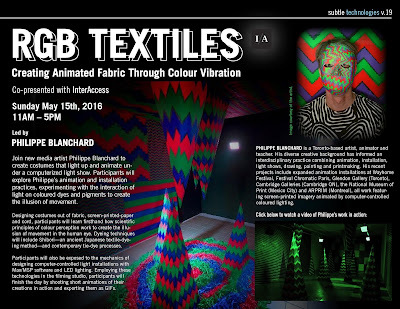 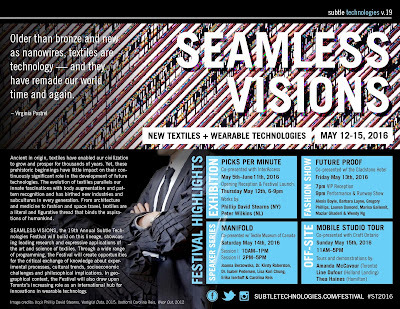 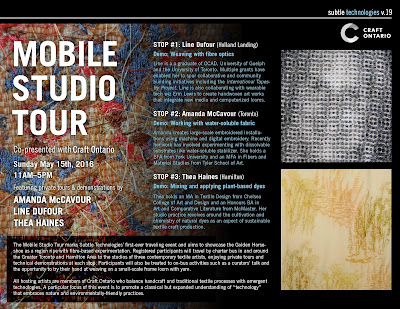 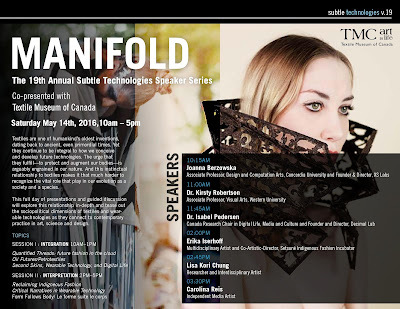 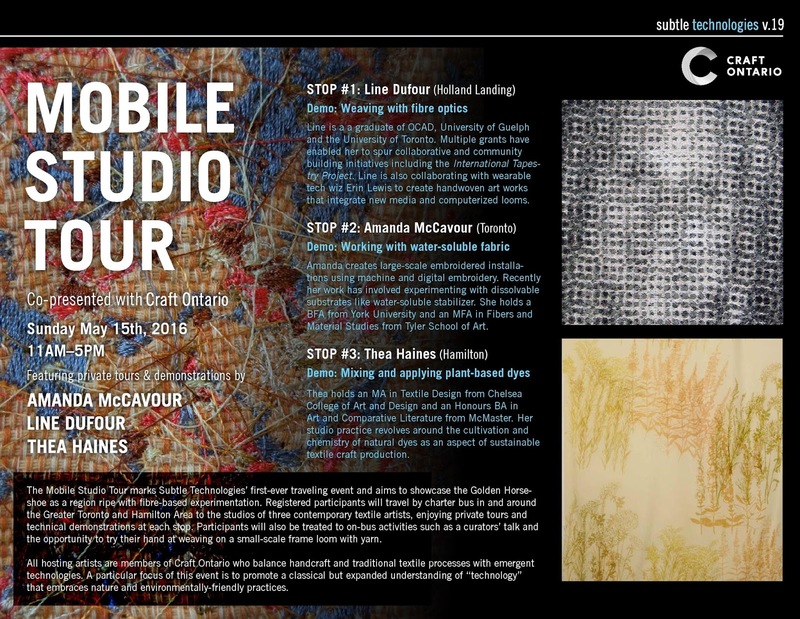 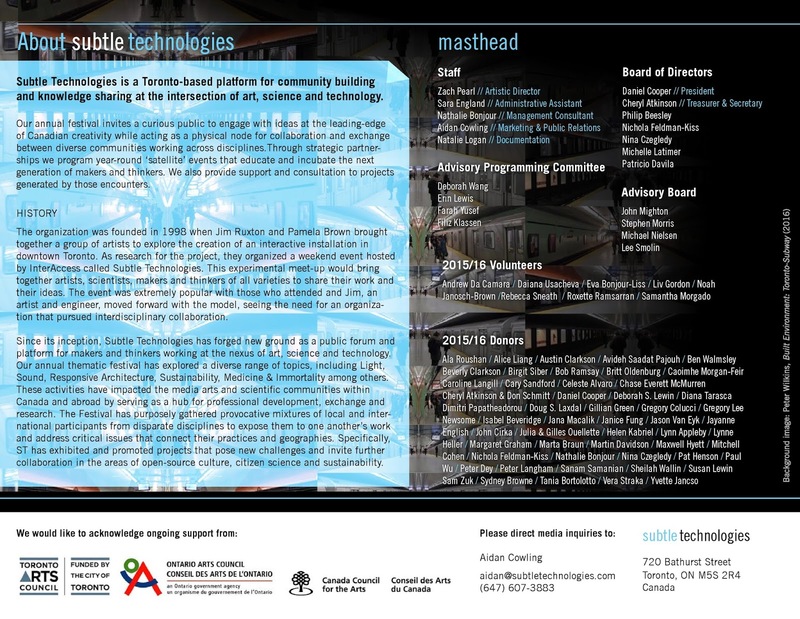 The 19th Annual Subtle Technologies Festival SEAMLESS VISIONS: New Textiles + Wearable Technologies will take place from May 12-15, 2016 in various locations around Toronto (including trendy Gladstone Hotel and Textile Museum of Canada). 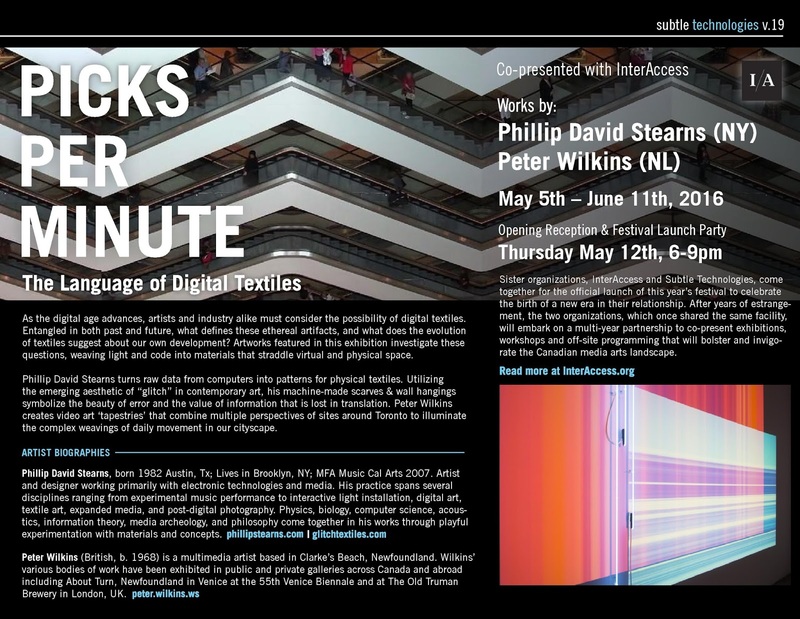 A series of events will showcase leading research and expressive applications of the art and science of textiles. 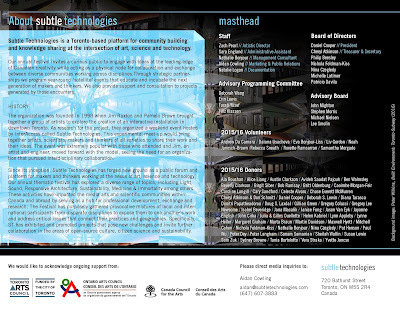 Get individual tickets or Full Access Pass here. 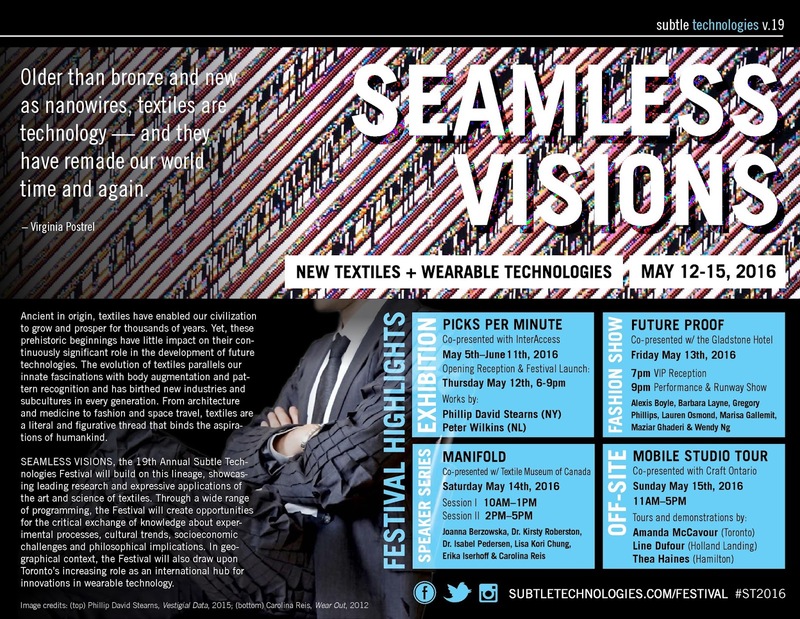 *Special thank you to Subtle Technologies for inviting Fashion Studio Magazine to the Festival.